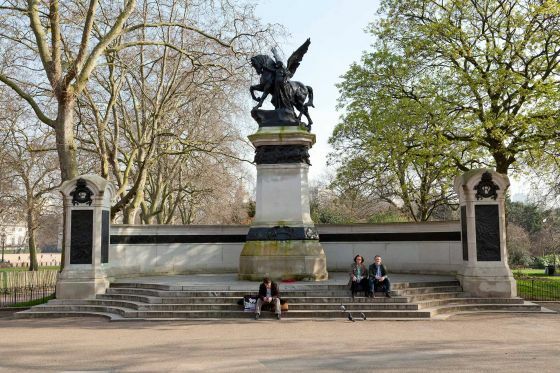 The South African Royal Artillery Memorial was installed in memory of members of the Royal Artillery killed in the Boer War in southern Africa 1899-1902. It is located on the south side of The Mall and to the north of the Storeyard and St James's Park Office. 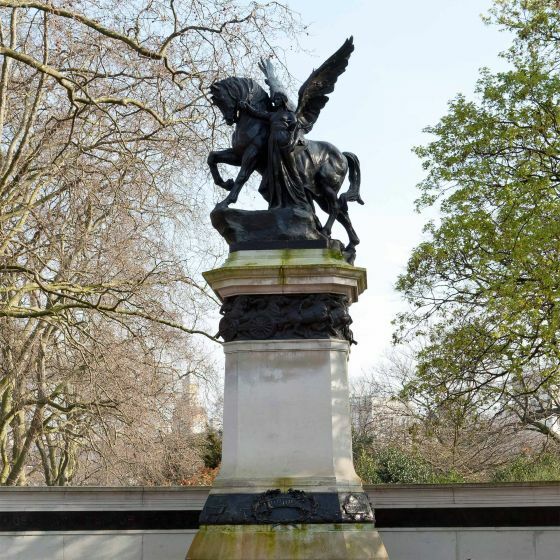 The memorial features a bronze winged figure of Peace subduing a horse representing War, designed by William Robert Colton. The bronze figure stands on a pedestal of Portland stone, which was designed by Sir Aston Webb. There are bronze plates listing the names of the dead. "Erected by the officers and men of the Royal Artillery in memory of their honoured dead. South Africa. 1899-1902." 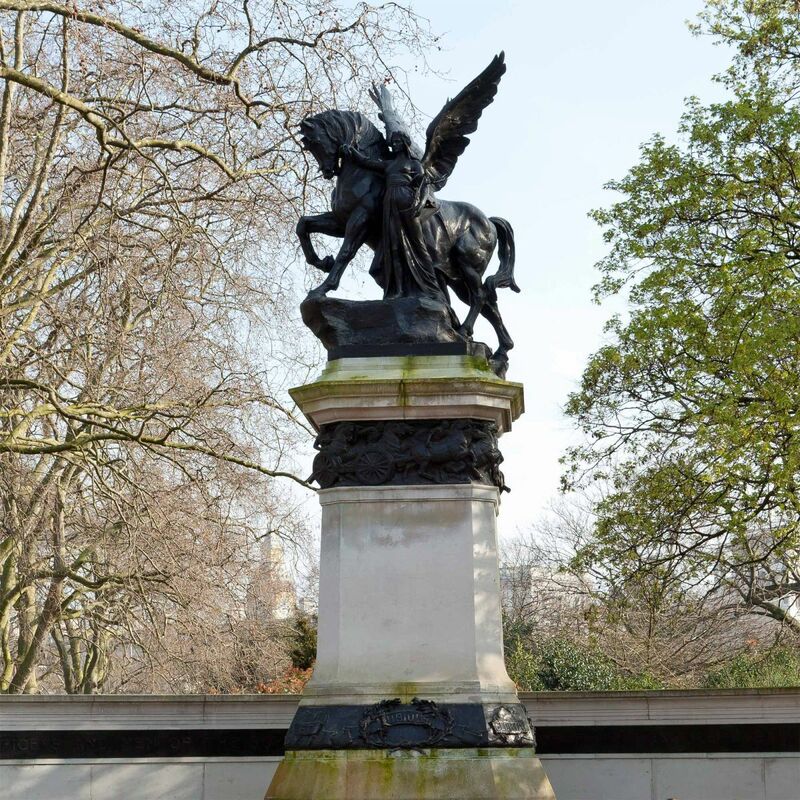 The memorial was unveiled by the Duke of Connaught, uncle of King George V, in 1910.